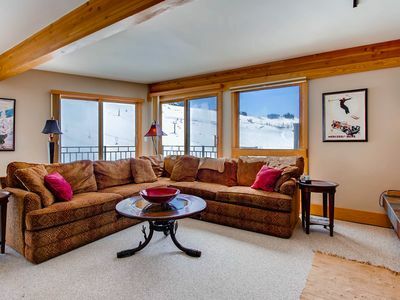 This ski-in / ski-out condo is ideally located, literally on the slopes, near the base of the Peachtree and Westwall lifts. 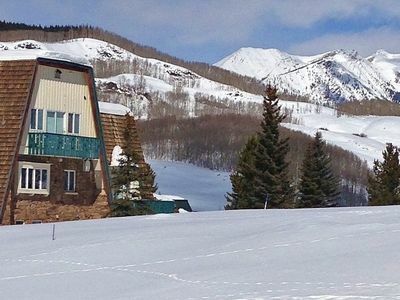 If you want to be any closer to the slopes you'll have to sleep in a chairlift. 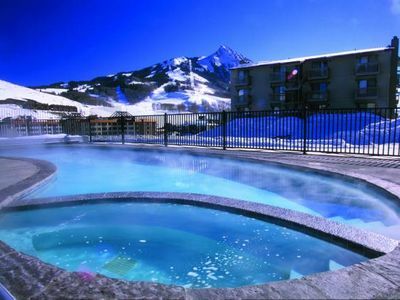 You can soak in the outdoor hot tub while watching the skiers whoosh by, with the peak looming overhead. 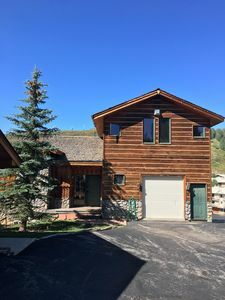 The unit has a huge wrap-around deck that runs along the side of the unit facing the slopes and the mountain, so you can stretch out in the sun and enjoy the views. 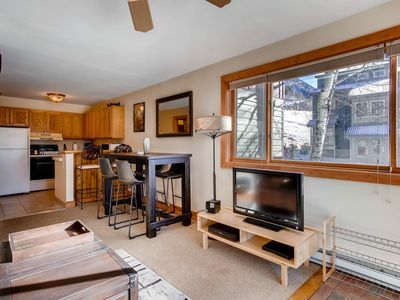 Or, when it's snowing you can watch the peaceful scene from the floor-to-ceiling windows throughout the unit. In summer, you have immediate access to the paths and bike trails. Our guestbook shows how people like you felt after staying at the condo; you can find this by doing a web search for 'gateway 303 guestbook' then looking for the `sites.google' link near the top. 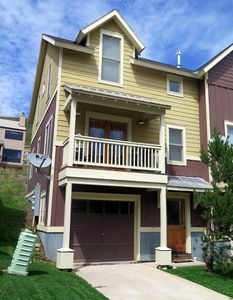 There are also some vrbo reviews below. Outside by the hot tub there's a grill and sauna. Inside, you will enjoy free WIFI. We have 1 king, 2 twins, 1 queen sofa-bed and 1 double sofa-bed, so you can sleep up to 8 people. There are two bathrooms with showers. 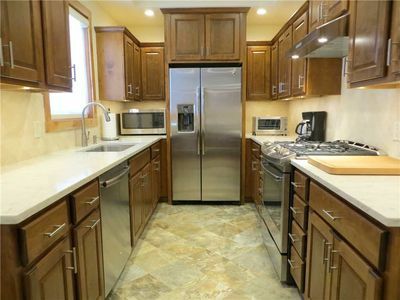 The spotless, modern kitchen comes fully equipped. 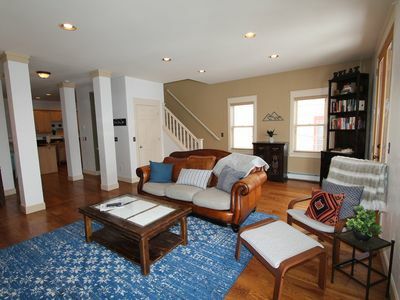 The main room has two sofas, a flat-screen TV and a fireplace. 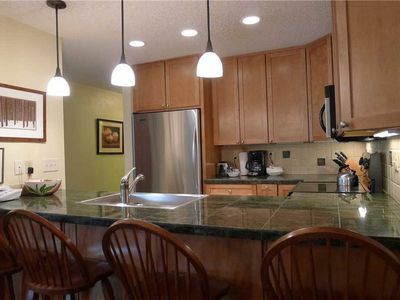 There's plenty of room for eating in our dining area, and you can enjoy some drinks on the counter stools or...did I mention the deck? Your comfort and convenience are our number one priorities, and we are continually trying to enhance your experience. 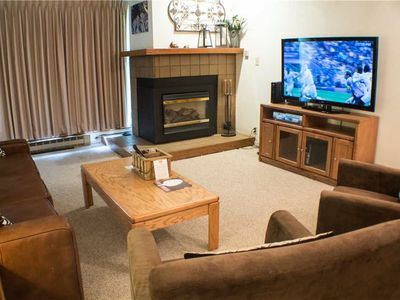 Recent upgrades include new leather couches, linens, TV, and decor. The latest addition is a complete high-end master bathroom remodel! 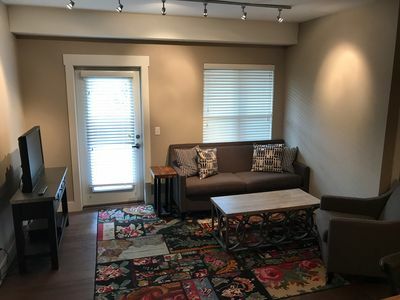 We have a washer/dryer and dishwasher for your convenience. You can use our covered parking spot in the heated garage (with elevator), or you can take the free shuttle bus to town; there's a bus stop right outside the building. You can also walk a couple of blocks to Mountaineer Square. 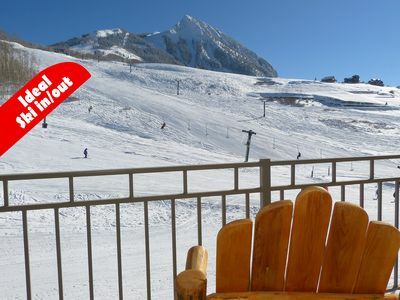 If you've never been to the quaint town of Crested Butte, you'll love it. Stroll up and down the main street past Victorian buildings with local shops, art, music, and good food. There are some great fine dining spots in town, too. In summer the outdoor activities are terrific. Stroll out of the condo and take the free Friday lift to the top of the mountain, and climb the short trail to the peak of Mt. 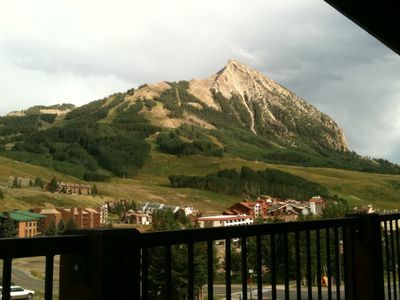 Crested Butte if you dare. The mountain-biking is outrageous, including the world famous 401 trail. Crested Butte is also the official Wildflower Capital of Colorado, with the 2017 Wildflower Festival on July 7-16. You can also try the zip line course, which sends enthusiasts screaming through glades of aspen. There are several outdoor concert series that run weekly during the summer. We are in the midst of some of the most beautiful and unspoiled mountains in Colorado, so take your time to explore them with anything from beautiful walks to extended backpacking adventures. 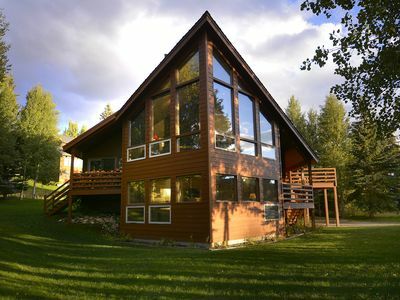 Rafting, kayaking, golfing, fishing, you name it...it's all just outside your front door. 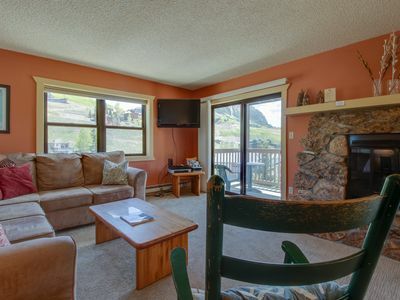 Our summer rates are some of the best values mountainside. 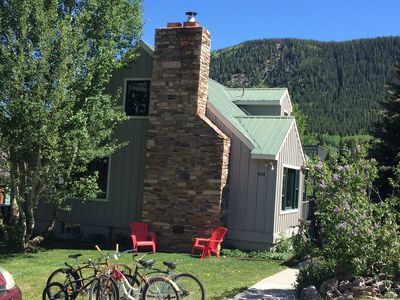 Our unit is personally managed by James and Wendy (owners of CB Enterprises) who are renowned for their 24/7 above-and-beyond approach to helping each guest get the most out of her/his stay. We love kids, so bring yours, but no smoking or pets. Mt. Crested Butte BOLT #19-177. 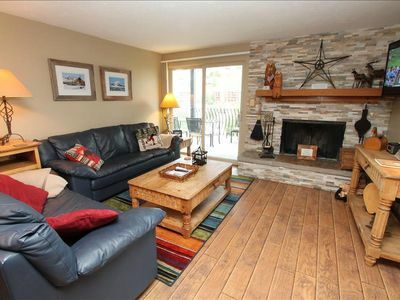 2 Bedroom, On Shuttle Route, Great Hot Tub! Great Rates!! Incredible View!! Skiing is in full swing!!! 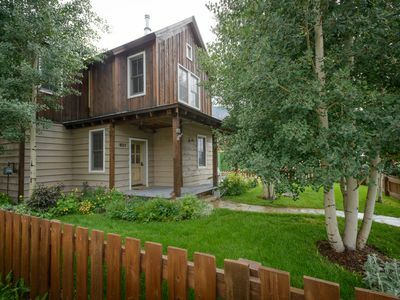 Stunning 3 Bedroom Home In Crested Butte! Walk to Everything! July dates available just now. Downtown, best location! No driving necessary. 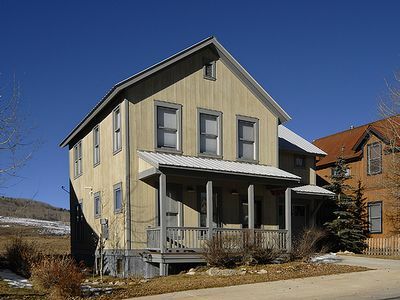 Your Home Away From Home - Convenient Mountain Location On Mount Crested Butte! Crested Mtn. North #L1, At the Base Area! Sleeps 6! 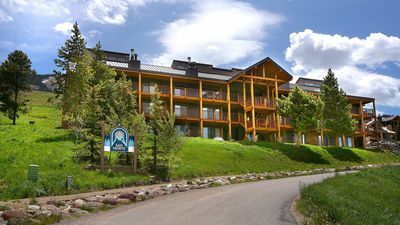 Mountain view condo w/shared hot tub - walk to Crested Butte Mtn Resort!